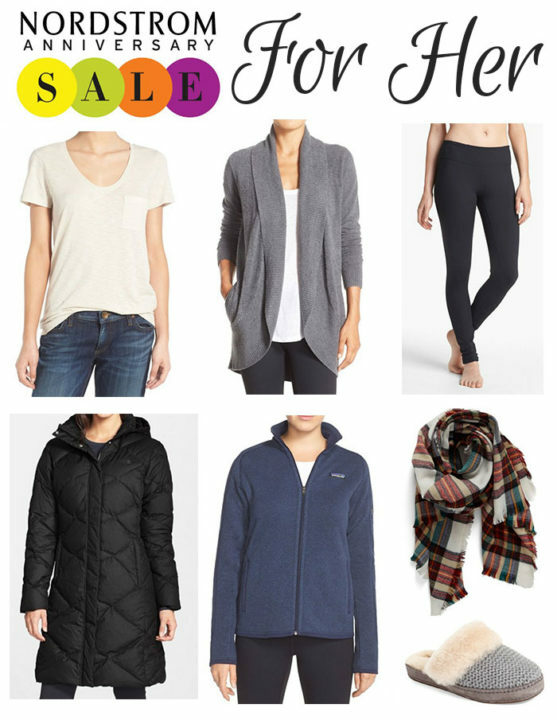 Who doesn’t love a good sale, especially one at a store like Nordstrom! 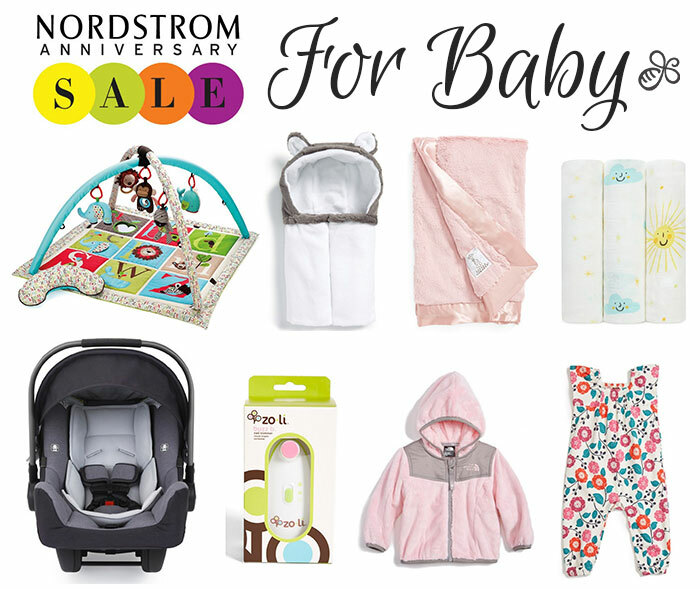 I’ve never been a huge sale follower, but I look forward to the Anniversary Sale every year, especially now with a baby at home. I got some great deals last summer on baby things. While I normally don’t post sales related content, I find posts like this extremely helpful when navigating large scale sales. It makes it that much easier to find true gems! 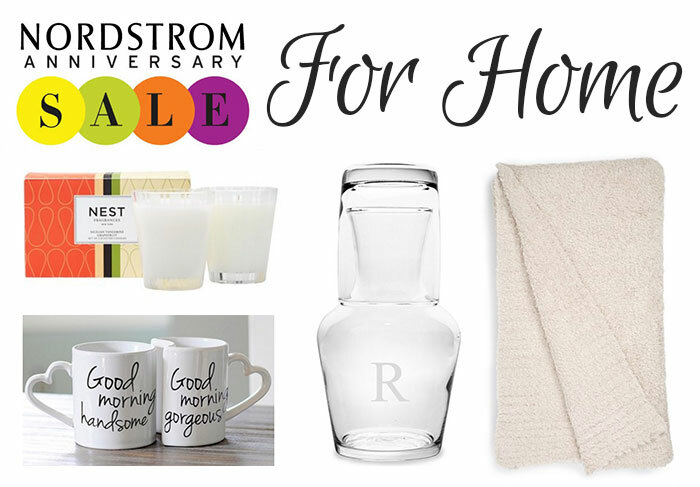 I thought I’d share my top picks for baby, for her, and for home with you. ❊ Skip Hop Alphabet Zoo Activity Gym ($75 $49.90) – This is a great price for an awesome baby play gym. We have another version by Skip Hop that our daughter, CC, adores (although admittedly, it kind of overwhelmed her until she was about 3 months old). Skip Hop makes great baby toys and accessories. ❊ Little Giraffe Luxe Baby Blanket ($86 $56.90) – I purchased a couple of these amazing blankets during last year’s sale as well. I probably wouldn’t have splurged on them if I had known at that point how many blankets we would receive as gifts, but I’m happy to have them. They’re the absolutely softest, coziest blankets ever made with an extremely silky minky fabric and satin trim. I think they’re going to make for perfect snuggle blankets this upcoming fall and winter. These would make for fantastic gifts! ❊ Aden & Anais Swaddling Cloths ($45 $29.90) – Everyone raves about these muslin swaddle blankets and and for good reason. They’re incredibly versatile. I found them too cumbersome to use for swaddling, but love them for a lightweight stroller blanket, a nursing cover, and especially during travel. This is another hugely popular baby gift and at a great price. ❊ Nuna Pipa CarSeat & Base ($349.99 $261.90) I can’t believe the deal on the Nuna Pipa! This is the infant car seat we used and loved for CC. It’s super lightweight and easy to tote around. I love having the added security with the stability leg as well. ❊ ZoLi Buzz B. Nail Trimmer ($41 $26.90) I bought this on the recommendation of Mint Arrow last year and am so glad I did because it has come in so handy with CC. This electronic file is extrenely gentle. I tested it out on my skin before using it on CC. It barely even tickles the skin! The only downside is that it takes a bit longer to file nails as opposed to cutting them. I tried to use baby nail scissors with her a couple of times, but it gave me major heart palpitations. Baby’s don’t know to stay still when you’re trimming their nails. I was so terrified I was going to accidentally cut her and went right back to using the Zoli Buzz and haven’t looked back. A must have baby product, in my opinion! ❊ The North Face Oso Fleece Hooded Jacket ($65 $42.90) – When I was pregnant I learned how essential bodysuits and sleepers are, but no one ever told me how essential layers are. Having jackets and sweaters for your baby is a must, as babies lose body heat much easier than adults. $65 is a lot to spend on a jacket your baby will probably grow out of in a few months, but $43 sounds much more reasonable. The North Face Oso fleece goodies are super soft and cozy. I picked one up in this year’s sale with fall in mind. ❊ Tea Collection Lyrical Floral Sleeveless Romper ($32 $20.90) A friend recently introduced me to the wonderful Tea Collection brand and I was excited to see some items listed in the sale. I picked up this super sweet sleeveless romper, which I figure can carry CC through the fall with the addition of a body suit underneath when it gets cooler. Too cute! ❊ Caslon Relaxed Slub Knit U-Neck Tee ($25 $17.90) – I bought a couple of these tees a few months ago when they were marked down and have lived in them since. I’m so happy to see them on sale again! I actually bought several more in a size small as opposed to the mediums I already own as I find they run very large. Even though they suggest line drying, I throw mine in the dryer on low and they come out perfect. ❊ Barefoot Dreams Circle Cardigan ($116 $76.90) – I’ve had my eye on this cardigan for ages, but haven’t felt like the price was right. Well, now it is thanks to the sale and I’ve got one on the way to me! I’ve loved Barefoot Dreams comfort wear since I was in college. It is the softest, most cuddly knitwear ever! ❊ Zella Live In Leggings ($52 $33.90) – I was so excited to see my favorite leggings on sale! These are must-haves in my book. I lived in them for the first few months postpartum. They’re great for everyday use or as active wear. The Live In Crop Legging ($48 $24.90) are also included in the sale. I picked up a pair, because the price is too good to miss and you can’t have too many pairs of black leggings, right? ❊ The North Face Miss Metro Hooded Parka ($320 $239.90) – I swear by my The North Face puffy parka in the winter. It has lasted so well through a lot of wear and tear over the course of many years. My zipper actually broke last year and I was able to send it to The North Face free of charge for a replacement. How cool is that! This is a great deal on a similar coat and a must have if you live in a cold weather winter climate. ❊ Patagonia Better Sweater Jacket ($139 $99.90) – I have a similar jacket from The North Face that I bought last year and absolutely love. The Patagonia version seems just as nice! It’s so comfy and great for fall. I adore the navy color and am tempted to splurge on one! ❊ Shiraleah Anya Plaid Oversize Oblong Scarf ($38 $24.90) – Big plaid scarves have been “in” the past few cold seasons. While I’m not one to usually follow (or even be aware of) the trends, I do love a cozy scarf. I like how this one is oblong instead of square, which makes it much easier to style in my opinion. ❊ Ugg Aira Knit Scuff Slipper ($109.95 $72.90) – I’ve been a fan of Ugg slippers for many, many years. I’m so happy Nordstrom is including these in their sale! They’re super cozy but also quite supportive. I live in mine around the house all year. ❊ Hanky Panky Mid Rise Modal Thong with Lace Trim ($22 $14.90) – I usually buy my undies on the cheap from Victoria’s Secret, but decided to splurge on a few of these. I haven’t bought myself new underwear since I gave birth and I am in dire need of new ones since all of my old ones are all stretched out and way too big now. I think getting new underwear is a nice treat for a postpartum mama. I love the lace trim on these for comfort and I’m all about comfort when it comes to undergarments! ❊ Nest Fragrances Sicilian Tangerine & Grapefruit Classic Candle Duo ($64 $50) – It’s no secret that I’ve become a Nest Fragrances enthusiast this year. The reed diffusers are my favorite, but the candles are super nice, too. I love these fresh citrus scents year round in my home. I think this set would be a beautiful house warming gift. ❊ Cathy’s Concepts Good Morning Ceramic Coffee Mugs ($34 $21.90) – I just had to include these adorable mugs. The heart shaped handles are the icing on the cake! And they nest! How cute!! I think these would be a sweet engagement present. ❊ Cathy’s Concepts Monogram Bedside Water Carafe Set ($40 $25.90) – We have a similar carafe that we received as a wedding gift many moons ago. I think it’s a nice touch for a guest room. It’s also useful to have on your bedside table if you go through a lot of water during the night. The monogram option is a nice touch. ❊ Barefoot Dreams Cozy Chic Throw ($147 $97.90) I’ve had my eye on one of these throws for ages and have been waiting for the perfect price. That day has come! They’re made from the same super cozy knit as the Barefoot Dreams comfort wear. I have big plans for this blanket and family snuggles underneath it this fall and winter! The Nordstrom Anniversary Sale Early Access runs from July 14-21. You need a Nordstrom credit or debit card to take advantage of this first window. A lot of the more popular items sell out fast, so it’s definitely worth it in my books! The sale opens up to the public starting July 22 and runs through August 7. I’d love to know if you buy anything during the sale! Let me know if you’d be interested in seeing a haul video of my selections when they arrive. Would love to see a haul video! Great recs Jen, I picked up both the live-in leggings! I’ve had my eye on them but the price was a bit more than I wanted to spend, now I’ll have crops and regular ones for about the price of one pair! Love the Uggs too but wasn’t sure about durability of sole? I decided to go with their navy perforated Coquette slipper to replace my Cozys and I LOVE them! Can’t wait to see CC’s 6-month update!! I knew I loved you before but now my love is even stronger!! I work for Nordstrom online! We are petty busy right now as you can imagine! You got some great deals and I love love love the sale for my little ones too! Always stocking up on my fall favorites! I hope my favorites don’t sell out before we can shop at 2. Pm on the 22nd 😀. I would love to see a haul video once you get your goodies!! Thank you so much for doing this post!! This is a fabulous sale and I was thrilled to see you post your favorites from it! I’m still deciding what to get, for sure the tee and I’m very intrigued with the Barefoot Dreams products you mentioned! And YES, I would love to see a haul video when your goodies arrive! Thanks Jen! Love the big scarf, the cardigan, then there’s the mugs and the throw. Wish we had a Nordstrom in the UK. Hope you enjoyed the sale. The slippers are on my Christmas wish list. I have a similar cardigan and I have to say it makes staying cozy in the winter so much easier. Thanks for sharing! I would love to see a haul! I enjoyed seeing your ideas for the anniversary sale =) Some stuff I wanted was out of stock, but they told me it will be restocked when the sale opens to everyone later this week! I ended up getting clothes for the most part and a Foreo Luna (backordered) and I want to try the Nest scents! Love all your picks Jen! Zella’s are my absolute “momiform” for sure and that barefoot dreams blanket has been on my radar FOREVER! 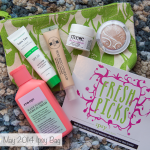 I shared some of my baby picks on my blog if you wanted to check it out! Jen, Have you heard of OWL CRATE? It is a subscription box that comes monthly,I think it is $30.00, It has little surprises and comes with a hard cover book. Check it out. Hi Jen! Love your haul! I have a question about the cardigan, what size did you order? Just wondering how they run in size. Thanks! whoops, just watched the video again and you got a medium. Hi Jen! On your recommendation I got the zella leggings, the moving comfort cardigan and the underwear .. SO happy with my purchase. Thanks for recommending quality products always – I appreciate that about you. I’ve been introduced to many high quality products through your videos.